As part of the ‘Swaraj Week', all sections of Class 8 of MPVM, presented models and poems on the theme of Independence. From the display, it was clear that the students have great depth and understanding of the freedom struggle. Class 8 A chose a poem which gave the message that real freedom can be achieved only if the youth and the people rise up together to end corruption and other evils prevalent in our society. Class 8 B reminded us of the ‘Dandi March' and ‘Civil Disobedience Movement' by Mahatama Gandhi in 1930, through which he was able to weaken the hold of the British in India, finally leading to the Independence in 1947. Class 8 C, through their Model showed, in different phases, how the British exploited the innocent Indians and cleverly established their supremacy over the country. Only after severe exploitation did the Indians rise up against the British and freed the country in 1947. 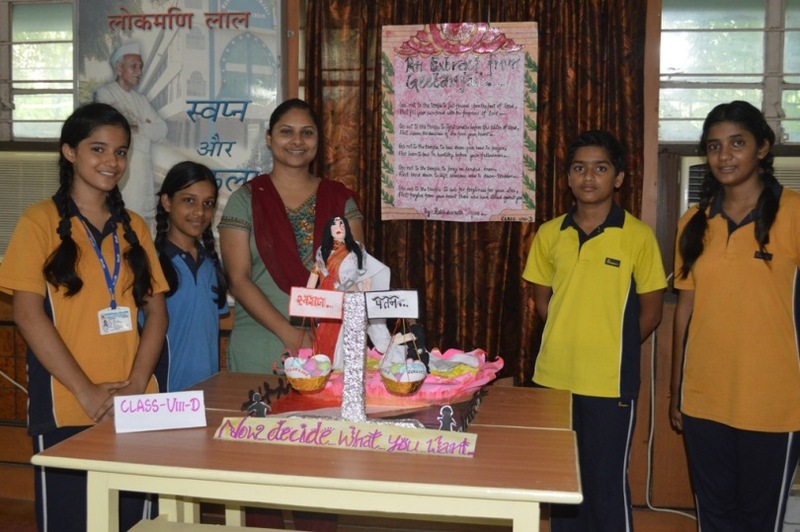 Class 8 D, based their model on an extract from Gitanjali by Gurudev Rabindranath Tagore. They showed how the woman who is regarded as an incarnation of Goddess Durga, Laxmi, Saraswati etc. is actually bound by stringent rules and is denied her basic rights and respect in the society. Therefore, the people of India need to reflect and decide how to change their attitude to bring a change in the nation. 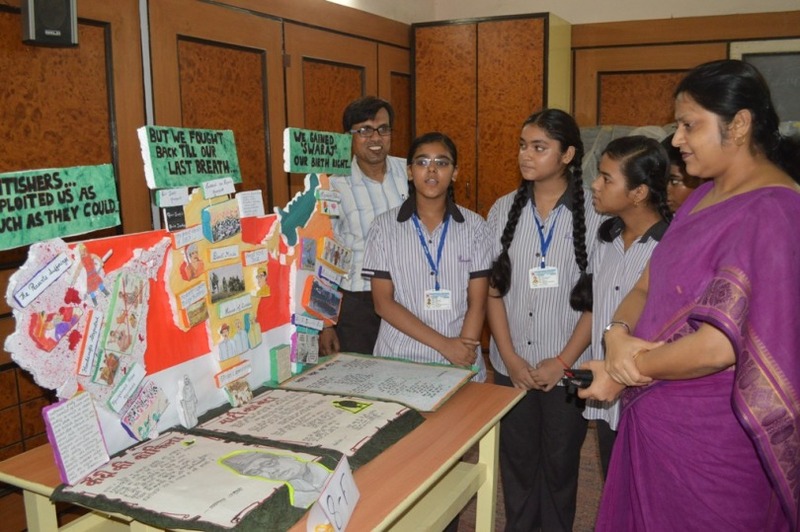 Class 8 E has depicted ‘Progressing India' through ‘Bharat Mata' on a golden chariot moving on the path of progress and development. Class 8 F has also shown the journey of Indians starting from their exploitation by the British forcing them to retaliate in the form of various movements against the British and finally attaining Independence in 1947. As the school Principal entered the Raman Hall, a hush fell over the excited babbling of voices of the students. 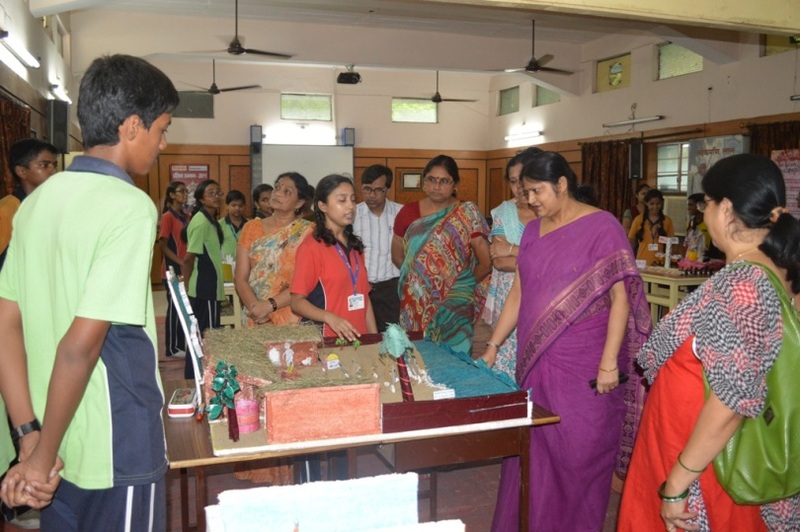 She spoke to all the students of all sections and they narrated the details of their models enthusiastically. She left the hall spellbound to see such creativity.